Tech House Party is a Free PSD Flyer Template to download. This PSD File is suitable for any party, clubs, music, or other event.s PSD File is included with alternative colors. Tech House Flyer is a Free PSD Flyer Template for download. This PSD File is very easy to edit, change the color, text, shapes or other elements that you can easy add/delete. This flyer have also Alternative Colors which you can change the whole flyer template by just one-click ! Help file have a guide on how you can customize colors and more helpful information. 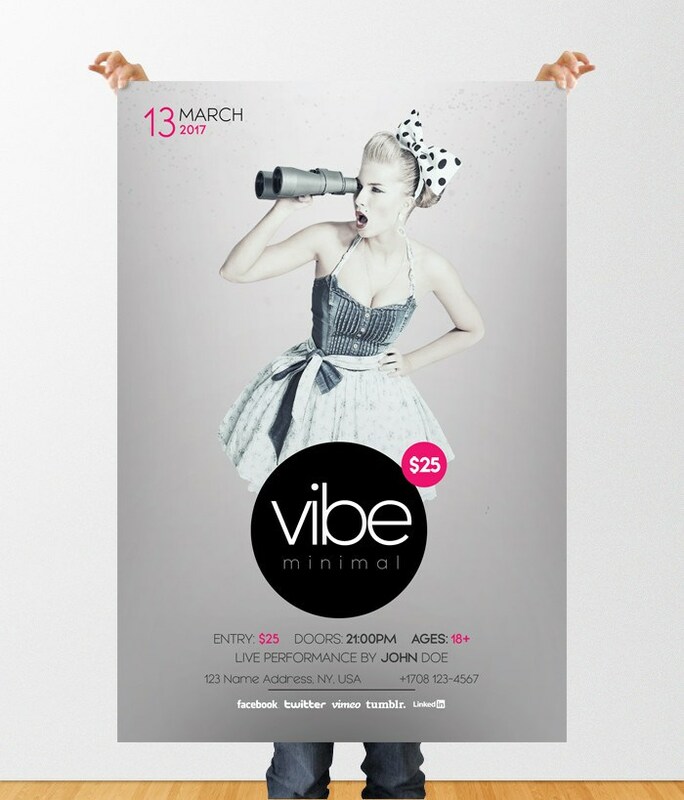 This flyer is suitable to use for any Event or Club Party. It can be used also for Business proposes such as Hip Hop Album release, Song release or why not and other Entertainment purposes. Image model is not included in flyer template, but the group of ‘Image’ is set up in Overlay style, so when you put your image please do not change the style of image, otherwise it cannot have the same effect.